Google's Street View mapping has already been used to capture some stunning images of wildlife, like penguins and polar bears, in the comfort of their natural habitats. But now, for the first time, one animal is helping internet users around the world take a virtual trek across her sandy homeland. 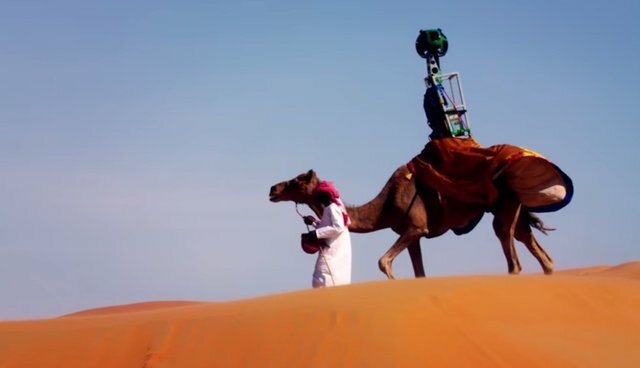 For Google's latest Street View of the United Arab Emirates's vast Liwa Desert, the company enlisted the assistance of Raffia, a 10-year-old dromedary camel perfectly adapted for journeys through the arid desert landscape. 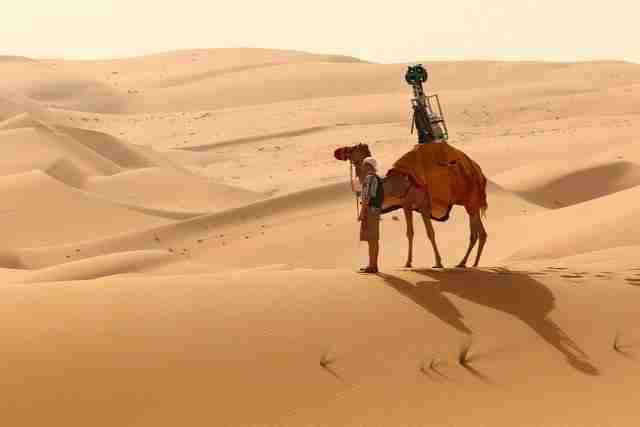 "With every environment and every location, we try to customise the capture and how we do it for that part of the environment," Joyce Baz, a spokeswoman for Google, told The National. "In the case of Liwa we fashioned it in a way so that it goes on a camel so that it can capture imagery in the best, most authentic and least damaging way." Domesticated camels, like Raffia, have been the most highly valued animal companions for folks caravaning through the vast arid regions of North Africa and the Middle East for thousands of years.